Write an article about your experience with Julie's and upload it to your blog. It could be about your Julie's experience at a factory tour, event, a shopping moment, or when you’re snacking on a Julie's biscuit! 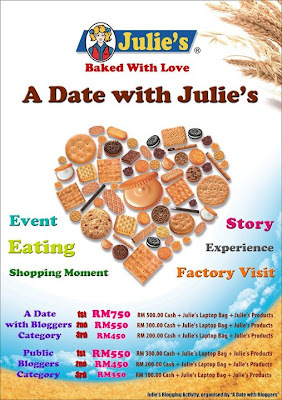 Visit Julie's Biscuits website for more details.